Welcome Hocking parents! Whether this is your first time experiencing the college financial aid process or if you have walked this road before, we want to help make the financial aid experience as seamless as possible and provide the resources you will need throughout this process. Family Education Rights and Privacy Act (FERPA) limits sharing of data pertaining to a student to only those individuals that the student has given the school permission to share certain information. This can include status of grades, a students' academic performance, or the details of a financial issues. Understanding that you are a concerned parent, we encourage you to speak with your child about completing the FERPA form to ensure that you are indicated as a person whom the school can communicate details of the student's situation. Satisfactory Academic Progress (SAP) standards are in place to ensure that students are progressing towards the completion of his/her degree. A student must meet established SAP criteria to continue to maintain eligibility for financial aid (including loans, grants and scholarships). SAP guidelines are posted on our website for the student's convenience. Click here for more information about the SAP. To be considered for financial aid, students must complete a Free Application for Federal Student Aid (FAFSA) each year. Applications for each new award year will be available after October 1, 2016. We encourage families to complete the application at your earliest convenience to receive maximum awards available. When completing the FAFSA, it is best to use the Data Retrieval Tool (DRT), which allows for your income tax return information to be transmitted from the IRS into the FAFSA. This ensures accuracy of the information entered on the FAFSA and reduces financial aid processing time in the event your application is selected for the v erification process. To complete the FAFSA, you will need a Federal Student Aid (FSA) ID. Click the link for more information about your FSA ID. 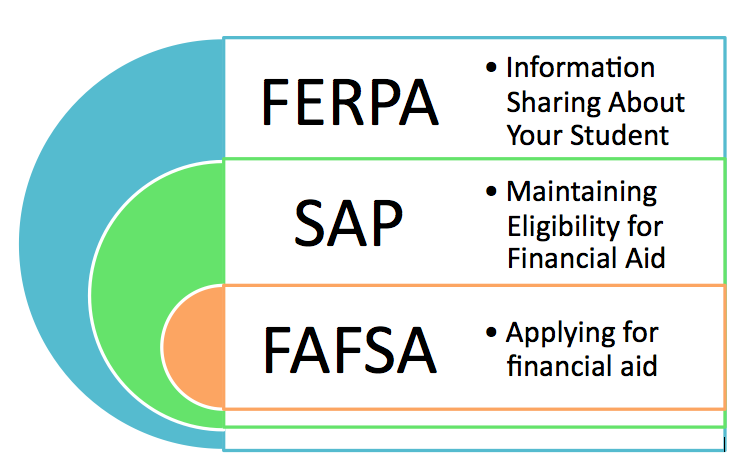 What happens after the FAFSA is completed? Once you have completed the FAFSA successfully, you will receive an email confirmation from Central Processing Systems (CPS). Your information will be submitted to Hocking College as you have instructed by including Hocking as choice school on the FAFSA. Once we receive your information, the Financial Aid Office will be able to create a financial aid award package, which includes funds awarded to help your son/daughter pay their educational expenses. If you are selected for the verification process, the school will request additional information from the family. This process must be complete before you can be packaged. Once all information has been verified, a financial aid award package will be created. Financial Aid Services will send an email to the student directing them to review their information on the Financial Aid Self Service Portal. For questions, you may contact a Financial Aid Representative. For last names beginning with A – L, contact Debra Canter at canterd@hocking.edu. For last names beginning with M – Z, contact Jodie Lewis at coonj@hocking.edu. Click here for more information about the verification process. Important Links: Here are a few links that may be of help to you pertaining to the financial aid process and to learn more about federal financial aid programs, eligibility criteria, and maximum limits.